No Matter How It Broke. We proudly back all our repairs with a 90 day warranty which covers any parts and labour. Rest assured we stand behind all our repairs 100% and extensively train our technicians to treat your device with the utmost care. Whether it’s financial data or family pictures your data is safe. All Cellular Magician employees go through extensive background checks and training so you know any sensitive data on your devices will not be compromised. Living without your phone for days is no longer a concern. Most of our repairs can be done right away, usually in less than 60 minutes, letting you stay connected to friends, family or pressing business issues. As an independent repair shop, we take our time training our technicians to the point they are extremely confident and competent doing all repairs. If we wouldn’t let them touch our phones, we don’t let them touch your phone. We proudly stock the largest variety and selection of phone and tablet parts in Ontario. No matter what device you have, and what issue your experiencing we can get you up and running faster than anyone in Southern Ontario. For the ultimate convenience, we offer on-site services for those customers that need a quick fix. A Cellular Magician tech can come to your home, work or anywhere convenient and fix your phone or tablet right in front of you. Book your on-site repair online today! Cellular Magician Technology aims to provide the most advanced, convenient and affordable cell phone and tablet repair services in London and Southern Ontario. 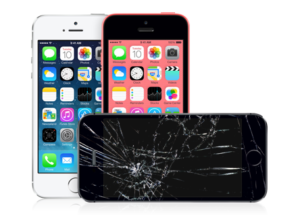 Whether you’ve cracked your iPhone screen or you need a rear camera lens or you’re simply not sure what the problem is, let our team of professional and experienced phone technicians know and we can get you back up and running. I brought my phone in with an unresponsive screen thinking it would have to be replaced, when I came to pick it up it was fixed and turns out it didn’t need a screen replacement. They were honest and it was free of charge. I was impressed with the professionalism and customer service of this place. Highly recommend! I was referred to Mobile Matrix by another cell phone repair shop. They had the iPhone 6 plus in stock, and even though I didn’t have an appointment they repaired my phone on the spot. The guys made sure everything was in working order before I left. I definitely recommend them and will be back cuz I also need to repair my iPad screen. Prices are also reasonable! Dropped my phone in the pool and they were able to fix it. Miracle workers. Will be back.